Sylvester Stallone is rightfully seen as the king of all things Rocky. So when it was announced that the seventh film of the franchise would focus on the son of Apollo Creed, Sylvester Stallone was also announced to be participating - but only as an actor. The Italian Stallion has now explained why he decided that Creed would be the first Rocky film that he didn't write. The reason I didn’t want to write it is because it’s a whole new generation. Forty years has passed, and what worked in my generation doesn’t exactly work in this generation. Everything’s just changed. Stallone deserves praise for being able to take that step back and recognize that he would only be detrimental to the film as its writer. Instead, he passed the buck onto helmer Ryan Coogler, who Stallone admitted originally approached him with the idea of a story that revolved around Apollo Creed’s illegitimate son. The Fruitvale Station writer and director was able to easily coerce the star of his debut film, Michael B. Jordan, to join Creed too, and because of this talent, there’s a genuine buzz and excitement surrounding the film. 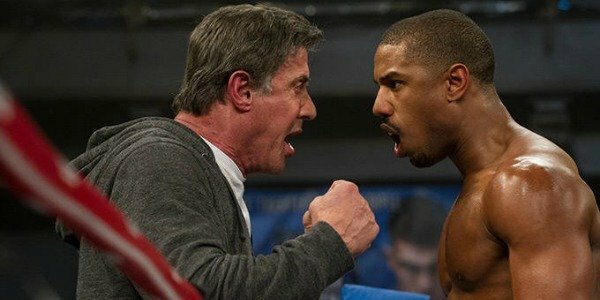 Early reviews surrounding Creed have been positive, with both Michael B. Jordan and Sylvester Stallone coming in for praise for their performances, while Ryan Coogler’s sophomore film as a director already seems to have cemented his place as one of the most impressive young filmmakers in Hollywood. Hopefully Creed’s performance at the box office will match these reviews, especially because of the pristine talent involved. Though the film has got stiff competition from Pixar’s The Good Dinosaur and the James McAvoy and Daniel Radcliffe led Victor Frankenstein, the fact that it was made for the relatively small sum of $35 million means that it should still prosper. If you need any further convincing, perhaps the film's trailer will help seal the deal. You’ve only got a few days to wait now until Creed is in cinemas, as it will finally be released on November 25, 2015. And for those of you considering which of Creed, The Good Dinosaur, and Victor Frankenstein to see over the holidays I’ve got two words and one number for you: All. Bloody. 3.